JUNE 22 - 23 IN CLEMENT PARK, LITTLETON! Spend a beautiful weekend in a magical world! Ongoing entertainment and activities all day long - ALL INCLUDED WITH ADMISSION TICKET! Multiple Unicorn Corrals and photo opps! 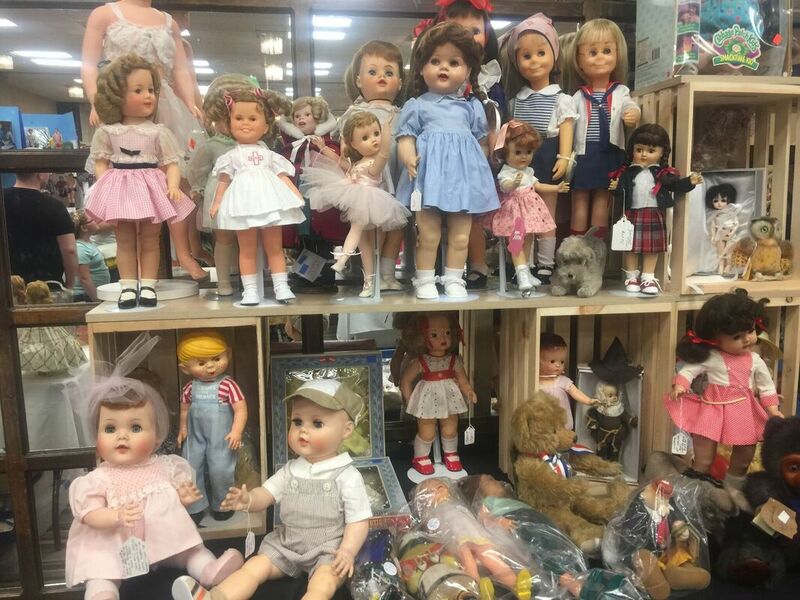 Meet famous Princesses! Sing-alongs and stories! Enter the Castle Maze & Dragon Slide Obstacle Course! 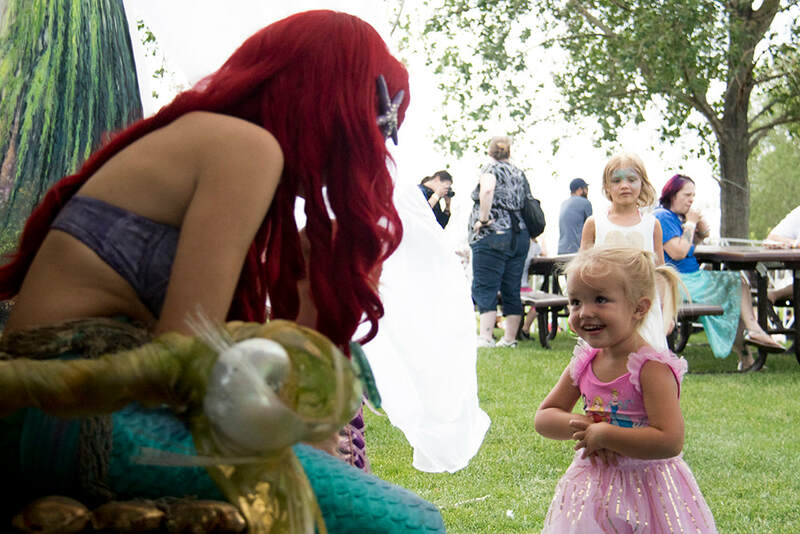 Little Mermaid Meet-and-Greet - ALL DAY! StoryTime Cottage with Authors and Princess stories! FLY on the Bungee Tampolines! Fairy Land Face Painters! 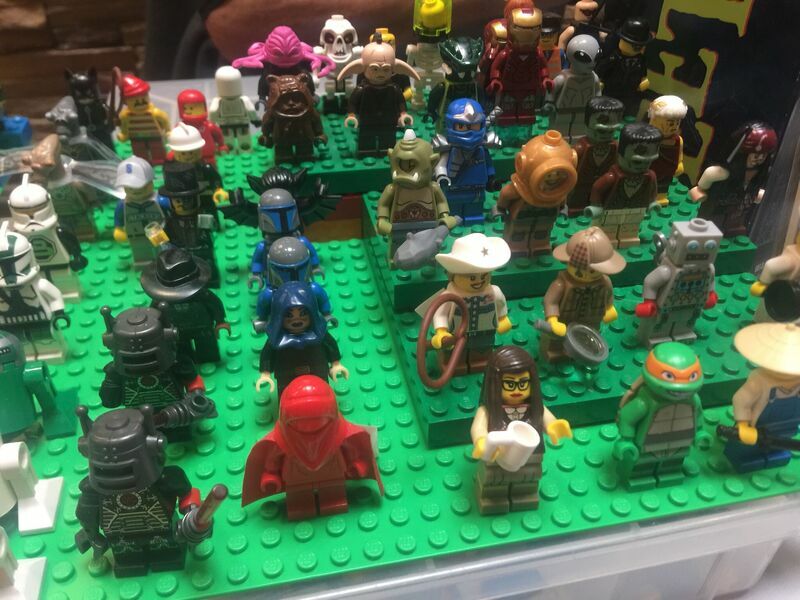 FREE - and LOTS of them! Food Trucks and Banquet Hall! Take selfies with mythological creatures & princesses! ​Interact with fairy tales and become part of the magic! 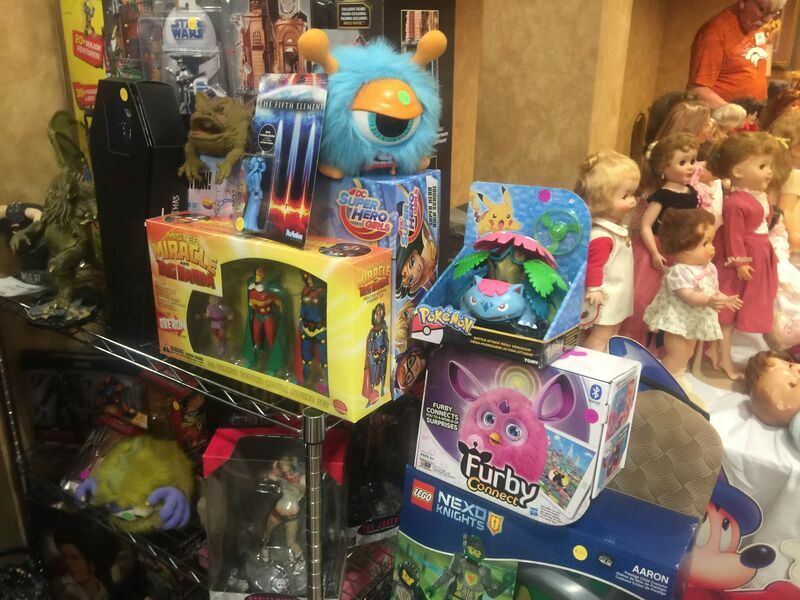 A magical event for families, cosplayers, and everyone who loves imagination and fun! This year you can buy all-day tickets, half-day tickets or weekend passes! See footage from our 2017 Unicorn Festival! 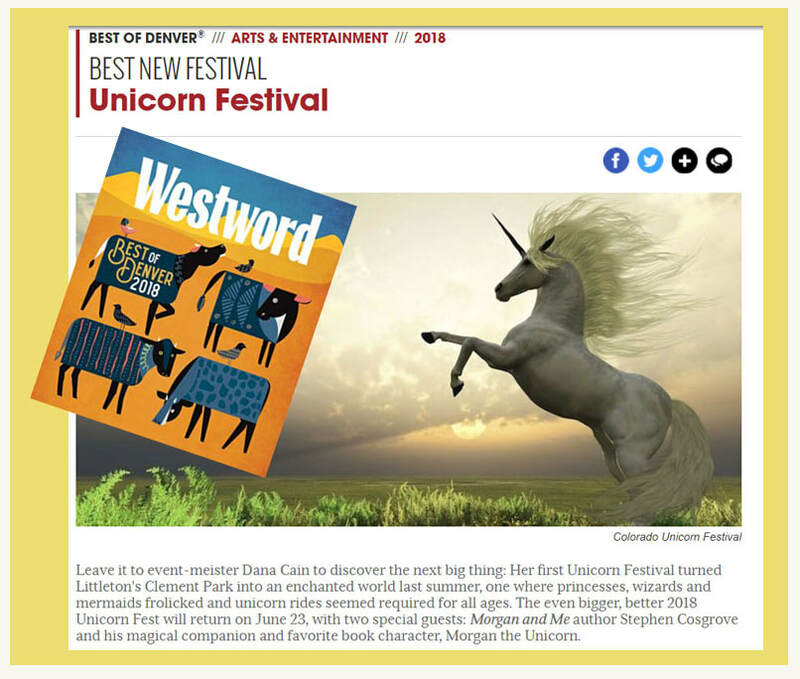 Photo courtesy of The Denverite, from our first Unicorn Festival in 2017! SPECIAL GUEST: Author Sheri Fink! We are SOOOO excited to welcome Sheri Fink to the Unicorn Festival! Sheri will be with us all day, both days, with her own booth, ready to meet fans, share her books, and bring some MAGIC! Sheri Fink is an inspirational speaker, #1 best-selling author, mermaid who believes in magic, and president of Whimsical World. Whimsical World is an empowering brand created by #1 best-selling authors and inspirational speakers, Sheri Fink and Derek Taylor Kent. Whimsical World’s mission is to inspire, delight, and educate children of all ages while planting seeds of self-esteem and high achievement. 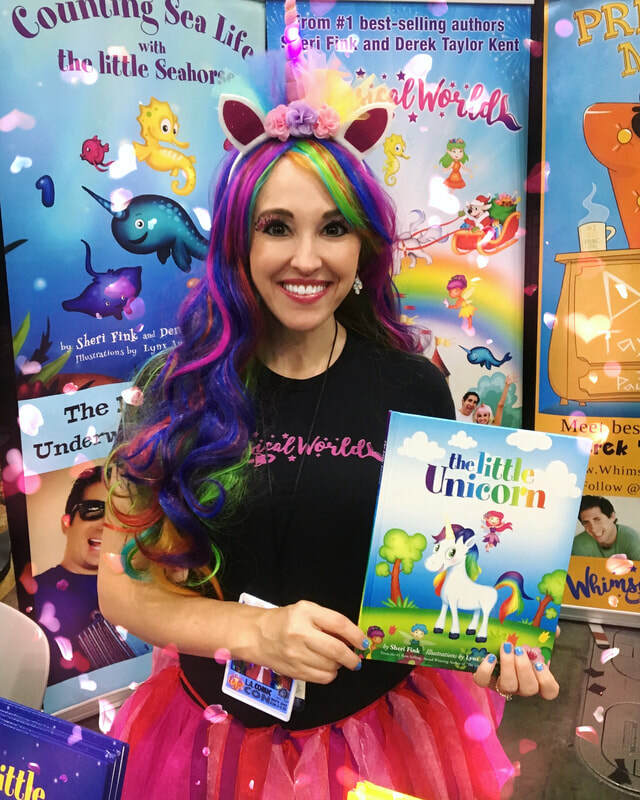 Sheri loves to write (ten books so far, including The Little Unicorn, The Little Rose, The Little Seahorse, and World of Whimsy with the Little Unicorn) and travels the world inspiring audiences of all ages to believe in themselves, dream bigger dreams, and take action to live their best lives. CBS Los Angeles selected her as one of the top 3 authors in her local area, a distinction she shares with Dean Koontz. Sheri’s books have been honored with multiple awards, including 3 gold medals in the Readers Favorite International Book Awards. She is a recipient of the prestigious Gold Mom’s Choice Award honoring the best in family friendly entertainment. She was selected as an inspirational beauty by supermodel Cindy Crawford’s “Beauties Give Back” campaign. Discover more about Sheri at www.SheriFink.com. Princess Penelope Palisade will be presiding over all proceedings for our perfect weekend party! She'll welcome kids to the stage for interactive play, introduce our entertainment, and spend her off time mingling with the crowds! Princess Penelope Palisade is pure peachy perfection! From their website ... We'll just let this speak for itself! To preserve American History through original, new theatre works that employ classic Vaudeville comedy, American storytelling traditions and vintage art forms. To inspire BRAVERY amongst our performers and our audience. To produce works that REDEFINE the theatrical experience and build a NEW audience. To create opportunities for JOY and the abandonment of stress through LAUGHTER and IMAGINATION. To bring families together and bridge the generation gap through comedy and storytelling. To bring unique artistic performances and meaningful educational outreach programs to all communities– including underserved communities with limited access to the arts! The Unicorn Festival is SO THRILLED to bring the Handsome Little Devils to Littleton! Be sure to catch them! 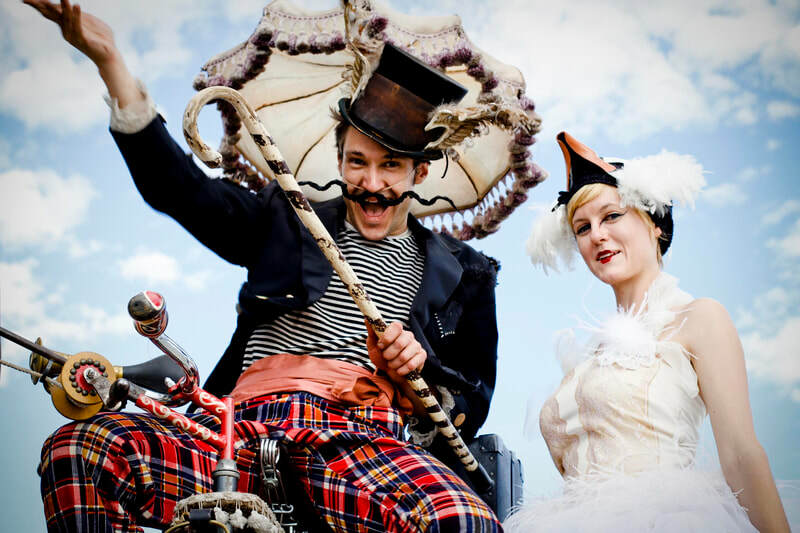 SATURDAY: Strolling the grounds all day with their amazing costumes, contraptions and entertainment! 11:00 AM - Main Stage Performance: 20,000 Loops Under the Sea! Watch Yo-Yo Guy John Higby battle a giant squid armed with nothing but a yo-yo! 12:30 PM - Handsome Little Devils Variety Show featuring Yo-Yo Guy John Higby from New York! 3:00 PM - Main Stage Performance: 20,000 Loops Under the Sea! Watch Yo-Yo Guy John Higby battle a giant squid armed with nothing but a yo-yo! PHOTOS FROM Past unicorn festivals! 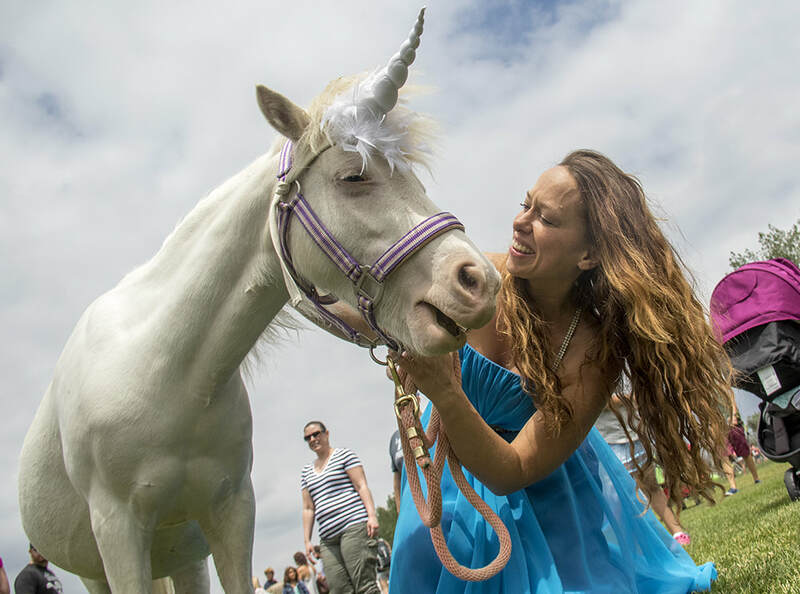 The Unicorn Festival is interactive, inspiring and empowering! Come soak up the magic and the love! Volunteer for any 5-hour shift and get free admission for YOU + ONE the WHOLE WEEKEND! We need volunteers for set-up, tear-down, mermaid management, princess wrangling, line control and more! C'mon - it'll be FUN! Help us bring the magic! veNDors & exhibitors - sign up now! Vendor Booths are going fast! Sign up now! 10 x 10 just $375 for the whole weekend! Load in hours Friday afternoon and Saturday morning. Double the hours and double the crowd! SEE OUR SPECIALTY AND SUPPORTING SPONSORS ON OUR SPONSORS PAGE!